HURRY – Numbers are filling fast!! 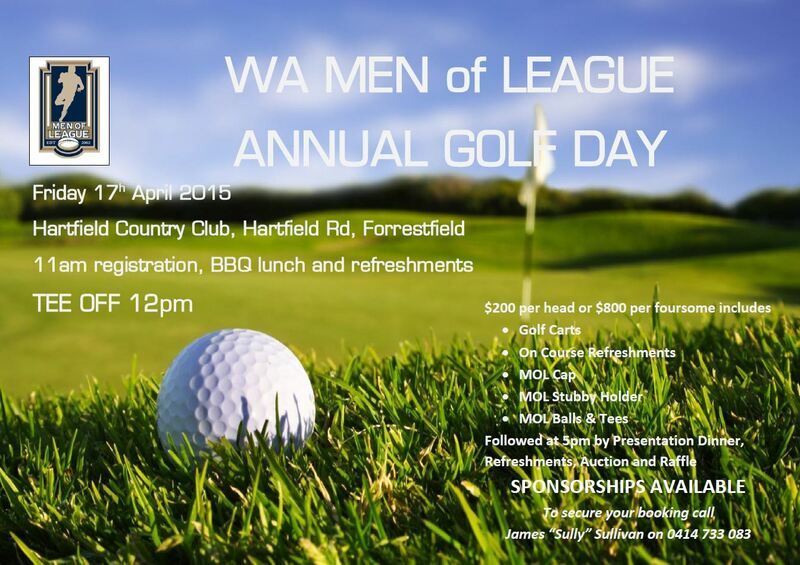 Places for the WA Men of League annual golf day are going quickly, so don’t hesitate and avoid disappointment.. book your team in today! This day sensational, is great value for everything that is included and all proceeds go to the Men of League Foundation. Ring James “Sully” Sullivan – 0414 733 083 to book your place today!